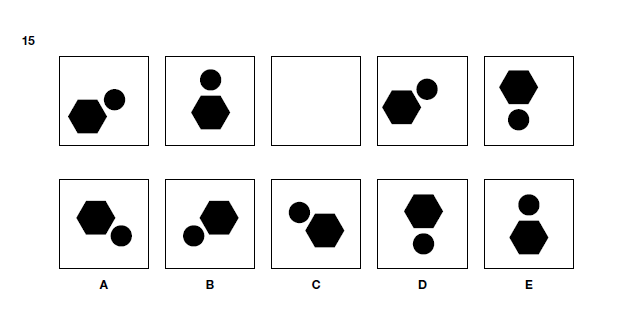 So I notice that the hexagon rises, so it should be A or B. But beyond that, I can't figure out why one of A or B would be correct and the other would not be. 13 States: Which is missing?